Newauland is a family owned business, and quick responds to all enquires / situation / difficulties.Newauland is caring the customers and its team of bros, and always on call on duty and on site.Newauland has vast construction knowledge and experience, always keen to answer any enquiries from the clients. The world is changing everyday and as it is a human nature we all try to keep up with it in our everyday life, we try to adopt world changes and change our surroundings accordingly too. Building a perfect home and raising their children and growing old in their own is everyone’s dream and people work very hard their whole life to achieve this dream. With the changing fashion and trends of house building it becomes necessary and important to make some renovations in our house in order to keep with the changing world and trends. There are various companies in North Shore region of Auckland that provide skilled and trustworthy Carpenters, Builders, Designers and workers to renovate houses of that region. The workers and experts of different fields provided by these companies are very skilled and they complete their work in the allotted time very nicely. It doesn’t matter what type of problem you are facing, these workers has the talent to fix and renovate your house the way you want it to be. These companies provide workers with expertise in fields like; custom kitchen renovations, custom bathroom renovations, custom hand build windows, designed decks and porches, rot repair, termite repair, custom carpentry, major and minor emergency repairs, custom interior wood works, custom screen rooms, custom stucco and many more services. Renovations in north shore is also very famous because companies in this area to complete their work in a much disciplined manner, i.e. they complete their work very professionally under the deadline and offer customer support even months after the work of renovations is done in the house. Renovations in north shore is very customer friendly, companies of this region provide free estimates of the cost of renovating a house before actually doing so, this helps the customer to change and edit the plans of renovating the house according to their budget and needs. This not help them change their according to their but experts from Renovation companies also help them and counsel them about the best deal of renovation that they should opt for that’ll make their house look more elegant and beautiful and make the process of renovating the house under their budget. Just by making a few small renovations in their house, like adding a new porch or building a new staircase, one can make it more grand and beautiful and this can be easily done by the Renovation companies of new shore. Renovations of house by professionals is not just important, it's necessary. Having their own house is a dream of almost every individual in this world, people works very hard their whole life to make this dream come true. But as the time passes by, just like the people living in it, a house also gets old and it requires Renovations or sometimes repairing of certain parts of it, renovations are necessary because almost every decade living standards of get the elevated and old house becomes too outdated to live in. So, to recover from this problem and make the house perfect again various companies offer the service of Renovations in Auckland. 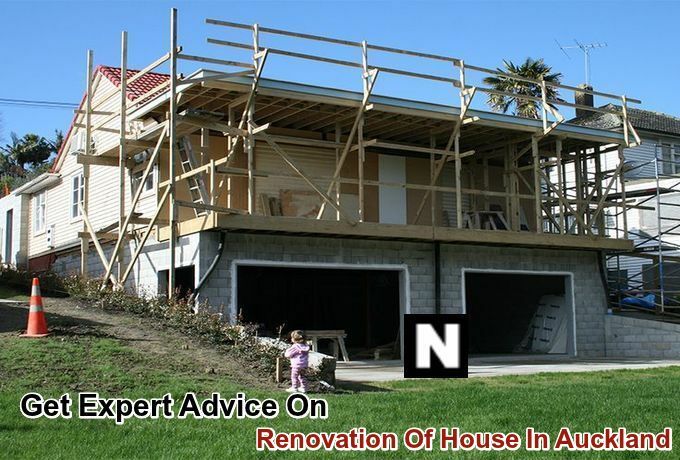 Renovations in Foundation- Foundation works includes the changes that are made on the foundation of the house, like excavation removing and adding of concrete, basement renovation, leveling the floor of the house, constructing new things like bridge, swimming pool etc. Renovation in Framing and Structure- Adding new concrete block in the house, making timber of steel frames for some part of the house, taking care of exposed beams of raft, renovating the roof by making it with steel or changing its slope. Renovations in Cladding- This includes coating or covering of a structure of material of the house, like aluminum covering, cladding of PVC weatherboard, timber and re cladding. Renovations in Internal Finish- This includes renovating the insides of the house like re flooring the house, wall lining, taking care of exposed beam or sharking ceiling. It also includes renovating bathrooms and kitchens. 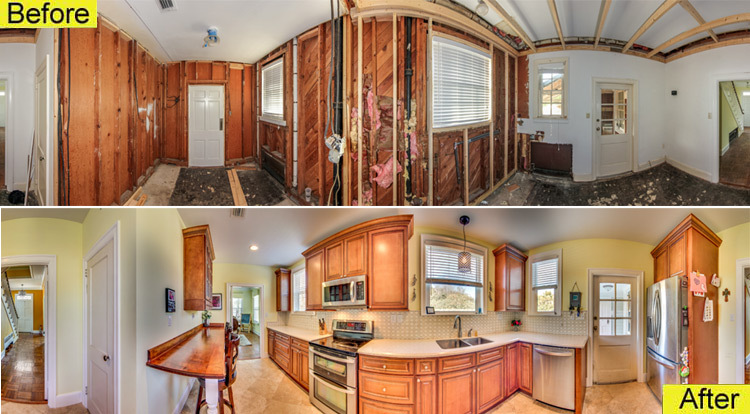 Civil Work- This renovation includes making bigger changes in the house than thirst of the categories. Like; constructing a new driveway, making water pond or swimming pools, demolition of certain parts of the house etc. Renovations in Auckland are provided by companies which are not only great in providing service, but they also provide great advice on how one should renovate their homes. These renovation companies tie up with various qualified civil engineers and interior designing experts to advise customers on how they should renovate their house. Renovations provided by these companies are very trusted because they hire best of the engineers’ designers and workers to give you a dream home. Instead of buying a new house, renovating an old house will not only keep the memories spent in it forever intact but also is a pocket friendly work. It costs far less than buying a new house or demolishing the old one to build a new one.